Tips and advise for day trips from Rome by Road to Travel Inc.
Campo de’ Fiori is one of the prettiest and liveliest squares in Rome where you can easily spend several hours exploring the architectural and gastronomic treasures. 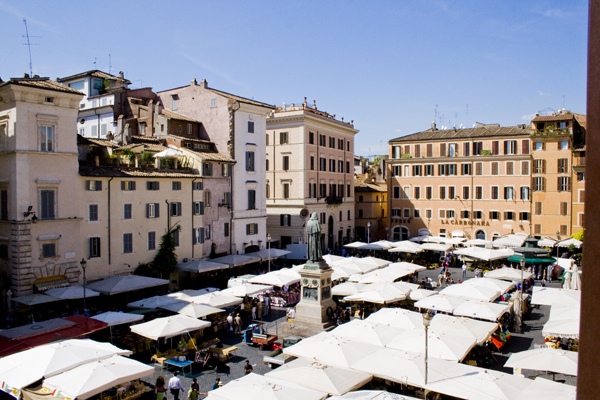 The first thing that springs to mind at the mention of Campo de’ Fiori is the famous daily food open-air market. Although, a few stalls are unashamedly tourist-touting, many fruit and vegetable vendors sell excellent seasonal produce. The solemn statue of Giordano Bruno, who was burned at the stake in the piazza in 1600, looks from above on the buzzing crowd. Check out the busy the Campo de’ Fiori bakery that is popular with tourists and locals alike. Every day it bakes fresh crunchy breads, delicious pizzas and cookies. Another gastronomic delight not to be missed is the Norcineria Viola that has been selling traditional charcuterie products since the 19th century. 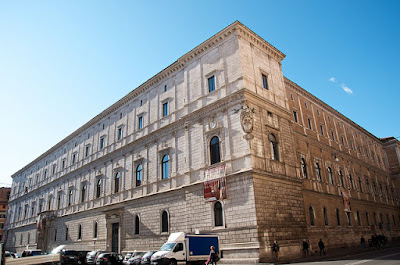 A few steps from the square is Palazzo della Cancelleria, an elegant Renaissance palace built by the famous Donato Bramante for a cardinal. Part of the building houses a permanent exhibition of fascinating machines built to Leonardo Da Vinci’s descriptions. 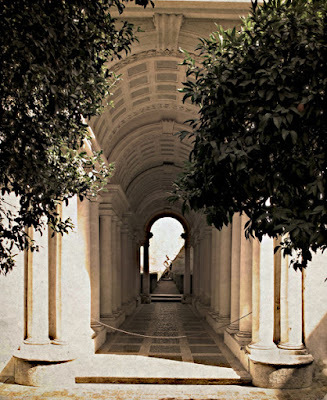 Another small museum that is worth visiting is the Museo di Scultura Antica with an excellent collection of Egyptian, Roman and Phoenician art, and Greek sculptures that were donated to the city of Rome by a private collector, Giovanni Barracco. To escape the noise and blazing sun of the Italian capital step inside the stunning churches located in the area: Sant'Andrea della Valle, Basilica di San Lorenzo in Damaso and the tiny 14th century Santa Barbara dei Librari. A short stroll from Campo de’ Fiori you will find the Galleria Spada which houses a beautiful collection of 16th and 17th century painting including works by Tiziano, Caravaggio, Rubens, Albrecht Dürer. 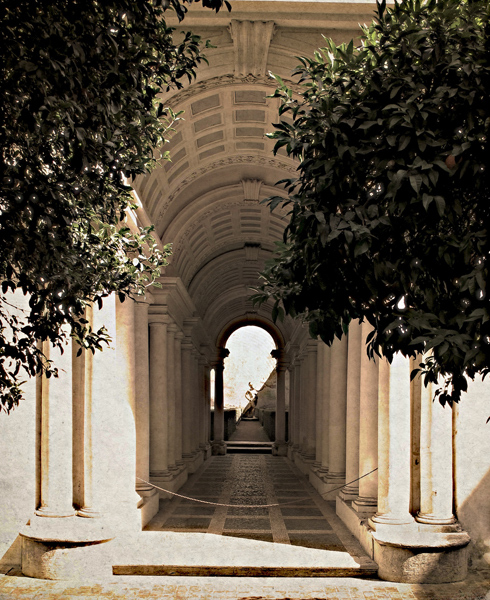 The building is also famous for its optical illusion gallery where Francesco Borromini created the so-called “forced perspective”: what looks like a life-size sculpture at the end of a long row of columns is only 60 cm high. Photos via Flickr by: Lauren Jong, David Macchi, Franco Torcellan. You have spent days crisscrossing Rome’s streets, admiring its ostentatious palaces, lavish basilicas, grand squares, dramatic ruins and spectacular monuments and you think you have seen most of the Eternal City. Think again, because there a whole world hidden BENEATH modern Rome. Have you seen any of it? 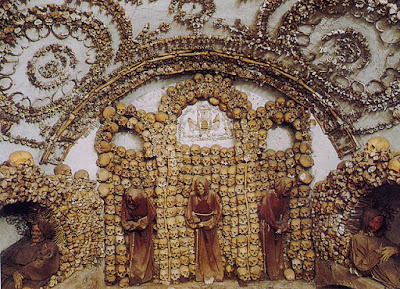 The 17 th century Church of Santa Maria della Concezione dei Cappucini conceals a Capuchin Crypt in its basement. Walking along the glitzy Via Veneto the last thing you expect to find there is a grim ancient ossuary decorated with disassembled 3700 skeletons. Four small chapels contain bones that are arranged in arches, rosettes, stalked along the walls with a few skeletons dressed in dusty Capucin robes. 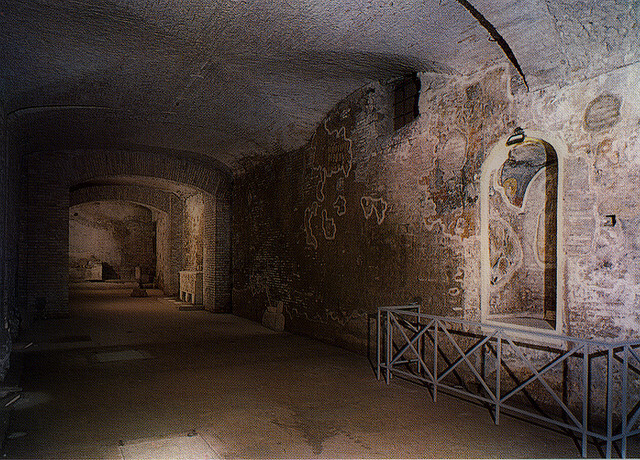 A sign in the crypt reminds visitors about their mortality: "What you are now we used to be; what we are now you will be..."
Another site that offer a glance at Rome's subterranean structures lies underneath the 12th century Basilica di San Clemente. 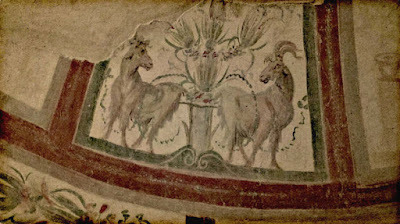 Follow down the staircase and you will arrive to a hall decorated with faded frescoes, which is the original, 4th century basilica, on of Rome’s first. Below is another layer of Roman history, reachable via a narrow stair. They are an ancient Roman house and temple built in the 1st century. Deeper down there is another level with rooms remaining from a public building destroyed the Great Fire in the year 64 AD. There you can still hear the water flowing in pipes laid by ancient Romans. Basilica of Ss. Giovanni e Paolo hides one of Rome's best preserved subterranean structures, Case Romane al Celio, that were discovered in the 19th century. The complex includes houses, a shop and a section of a road. Some of the twenty rooms are decorated with beautiful frescoes dating from the 3rd to the 12th century. Photos via Flickr by: John Mosbaugh, Carole Waller, Franco Torcellan.